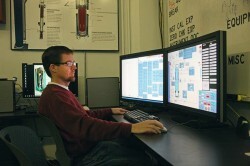 NuScale Power officials expect to increase their workforce by 50 percent. raise funds to match it) last fall to develop small modular reactor technology. 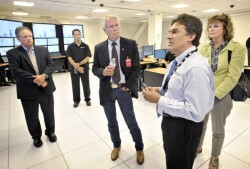 NuScale employs 194 people in Oregon and expects to bring on 105 more by this time next year. Its headquarters is in Portland while its production facility is in Corvallis. Thanks to gravity and a convection system, NuScale’s modules shut down automatically in the event of a power failure. It also cools the reactor without the use of pumps, a common fail point in traditional reactor designs.